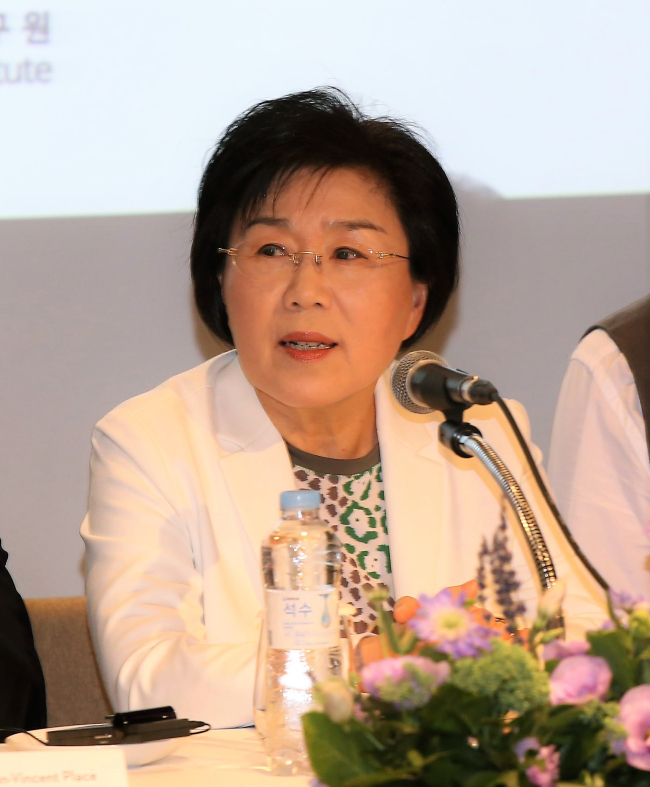 Choi Jung-wha, the president of the Corea Image Communication Institute, will receive the Yeongsan Diplomat Award on July 4 for her decadeslong efforts to promote Korea and its culture around the world. The accolade, bestowed by the Seoul Forum organization, is annually conferred upon an individual who made superlative achievements to enhance the nation’s image and interests through public diplomacy. This year’s award ceremony will take place at the Plaza Hotel Seoul and gather opinion leaders from across the country, including South Korean Foreign Minister Kang Kyung-wha, who will give congratulatory remarks, as well as foreign ambassadors, politicians, businesspeople and journalists. Choi will be honored for her global communication endeavors through CICI, which has acted as a conduit for introducing Korea to the world and vice versa since it was established in 2003. The organization hosts year-round networking events and awards, such as the Culture Communication Forum, CICI Korea Image Awards and Korea CQ Forum. Hundreds of influential people -- ambassadors and diplomats, corporate executives and entrepreneurs, scientists and engineers, artists and journalists -- have been CICI members or graduated from its programs. Choi has been a professor for the last 30 years at Hankuk University of Foreign Studies in Seoul, her alma mater, where she has taught interpretation and translation of French, Korean and English. She is widely regarded as Korea’s pioneering figure in the field. The scholar became the country’s first registered international conference interpreter, Asia’s first doctorate holder in the field and presidential interpreter between France and Korea. Choi has also written over 37 books, and in 2003 became the first Korean woman to receive France’s highest award, Legion d’Honneur.